*Save 30% off Clearance at checkout. The 30% savings applies to clearance merchandise only (on products with multiple price groups listed this only applies to colors under "clearance price" ending in .97) and will only show at checkout. Can't be combined with any other offer. Online only promotion. This offer can not be used on previously placed orders. Not redeemable for cash. 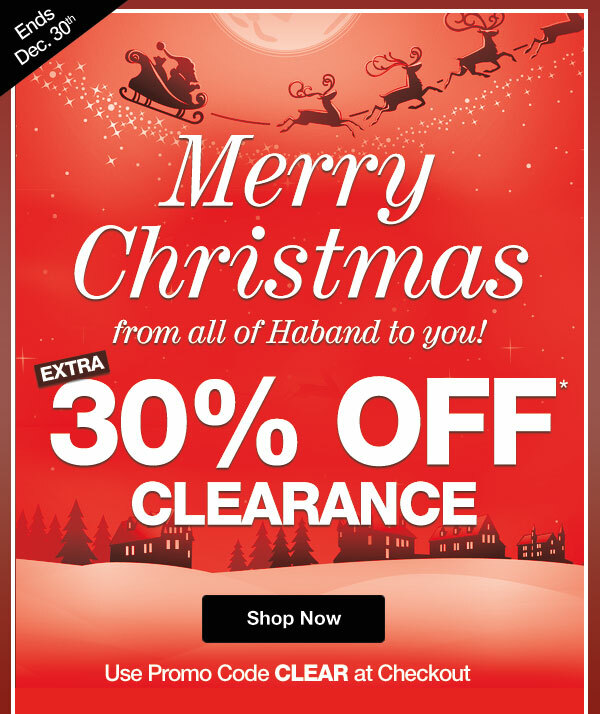 To claim 30% Off Clearance click the link provided in the email or shop from the Clearance categories and enter code CLEAR at checkout. This promotion is valid on items designated as Clearance priced. Clearance items end in .97. No minimum merchandise order is required. Offer ends 11:59 pm ET 12/30/18.